Kids Love Birthday Surprises! Wish them a happy birthday with a vibrant, eye-catching balloon bouquet. 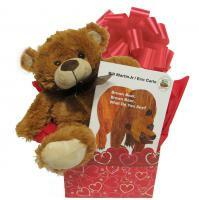 Make your gift even more special by adding a box of delicious chocolates or an adorable plush bear. Click here to buy balloons! 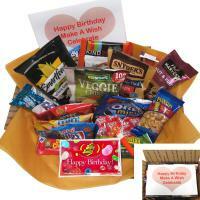 Children's birthday gift baskets, birthday gifts and fun birthday presents for kids. 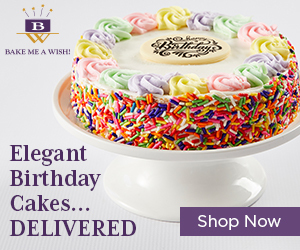 Find happy birthday gift ideas for a child; birthday gift boxes, baskets, birthday party ideas and great gifts for children. 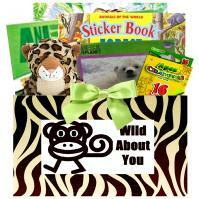 Buy fun gift baskets filled with toys, snacks, candy, books, games, puzzles, tasty treats and goodies guaranteed to delight any child. 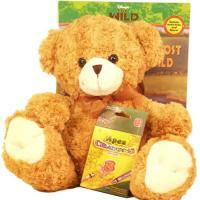 Send kids a special gift "just because" they're special kids! Throwing a childrenís birthday party doesnít have to be stressful. Itís your time to shine. By giving your child a special birthday party with his or her friends, you will impress the other kids and their parents with your amazing kids birthday party skills. If you've never thrown a party before for kids, relax. Below are a few tips that will ensure your success. Fortunately, with a little planning, you can host a fantastic birthday party for your child that everyone will love and remember. It might not be a good idea to have a huge birthday party if this is your first time. Many parents stick to four kids up until the age of four, then after that, they allow one child for each year of life. So, a ten-year-old would get to invite ten friends to their birthday party. Keeping kids birthday parties relatively small eliminates the issues that can come with having too many kids in one place. Birthday party invitations should be made up and sent out at least a couple of weeks in advance, otherwise, youíll end up with a lot of guests who canít make it due to previous plans. Where you hold a child's birthday party is also a major consideration. Your home could be a great place, but you might prefer an area, such as a park or restaurant with a playground to keep kids busy without much extra effort from you. Another good place might be a skating rink. If you do hold the birthday party at a park or other locale, be sure to book ahead so you wonít bump into other parties and discover there's no room for your group. Who doesnít love cake and ice cream? You can either bake your birthday cake or buy one from the bakery. With the printable icing sheets available these days, you can get any design you like. Cupcakes are a great way to go, too, since they are easy to handle and there is no waiting for the cake to be cut. For dÈcor, you only need a handful of things to make the birthday party location look the part. Streamers and balloons are a given. If you are doing a theme party, you can get posters or wall decals to put up, as well. Some kits include everything from streamers to tablecloths and paper plates in just about any theme you can think of. You donít need to go all out, though, even just paper plates in the party theme can do the trick, particularly for little kids. To keep kids occupied, youíll need age appropriate birthday games. Tiny children and preschoolers do best with non-competitive games such as treasure hunts or pinatas and follow the leader. 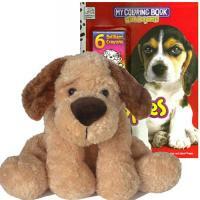 For older children, you can have scavenger hunts, races, or even a craft that is related to the party theme. Itís a good idea to have a backup game that has no time limit, like a backyard water slide or a bouncy house that will keep kids having a blast while they wait for their parents. You don't have to spend hundreds of dollars on a super amazing birthday party for your child. As long as you plan ahead and include lots of fun things to do, your child's birthday party will be a big success.